Merry Christmas, Happy New Year, and Happy Holidays to you, our Greyhound Friends of NC family! 2016 was a year of great accomplishments, as we launched our new website and adopted almost 200 Greys to new forever homes – the highest number of Greys placed since 2011! Together our staff and volunteers proudly look back on over 23 years of Greyhound adoption, with more than 5,600 Greyhounds placed in homes thanks to the efforts of dedicated team members. We earned “Best in County” rating from the Department of Agriculture 2016 inspection. Our tireless volunteers logged almost 3,200 hours this year at the kennel caring for our guests. This doesn’t include the hundreds of hours volunteers spent across our state doing meet and greets, parades, fundraisers, and Mountain Hounds in Gatlinburg, TN. Want to get in on the fun? Check out the Support > Volunteer tab of our website or contact us via our website. As in past years, our board would like to express our sincere gratitude for your continued financial support. Your faith in us and the organization is humbling, and we are honored by folks who willingly donate any amount they can afford. Many of you participate in our campaigns, the sponsor-a-hound program, yearly membership drive, and our special fundraisers. Did you know our fundraising efforts now include AmazonSmile and the WoofTrax “Walk for a Dog” app, both of which donate funds to our group every time you use them? Many of you generously helped us cover expenses for our lost Grey, who was on the run for over 30 days near the coast. He has recovered well and is in a great home. For all your support, we thank you! We are excited about the social media presence we have built on Facebook and our powerful communication network via our email newsletters. If you missed any of the information this year, you can read archived email newsletters on our site under Connect > Newsletter. 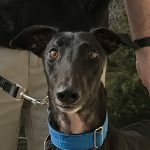 Our wonderful partnership with Triangle Greyhound Society continues. And, we’re so grateful to all the people across the country who help us by volunteering time, transporting or fostering dogs, donating supplies & food, providing grants, and donating funds. We have countless awesome regional volunteers too, who are active in many areas of the state including Winston-Salem and Wilmington just to name a few. This year we relocated many memorial bricks from the front porch to the gazebo. Next year we’re offering a limited number of custom engraved kennel plaques for purchase. These funds will support future capital projects and only 88 will be made. These special plaques will be placed on our kennel doors and will make a very special Christmas gift or memorial. See Support > Plaques for details and to order your plaque today. GFNC can’t thank you, our Greyhound Friends, enough for your support. Without you, we would not be able to continue to care for and find homes for retired racing Greyhounds. As we close out another year, please consider making a tax-deductible donation towards our efforts. It takes energy, time and money to run a group like ours and we are thankful to have such a dedicated support network. 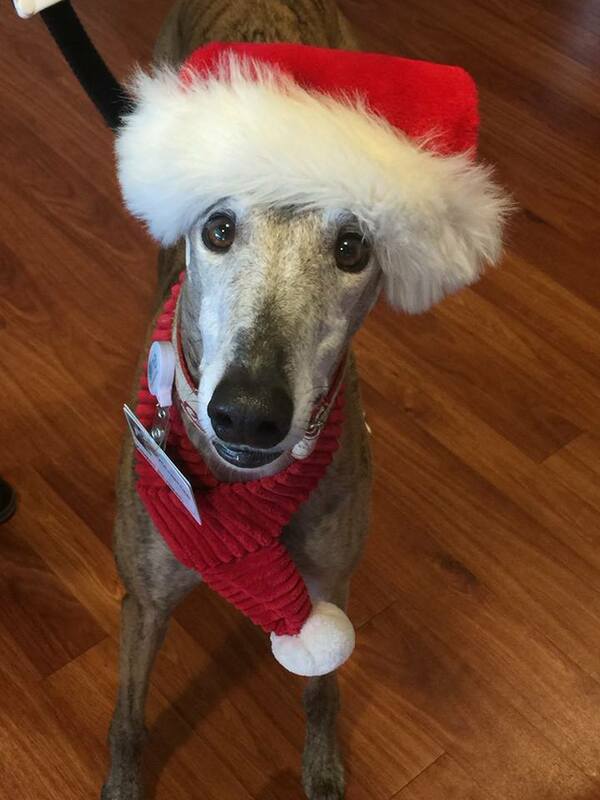 Merry Christmas and Happy New Year from Greyhound Friends of North Carolina! May 2017 bring happiness and health for you, your family, and your Greyhounds.